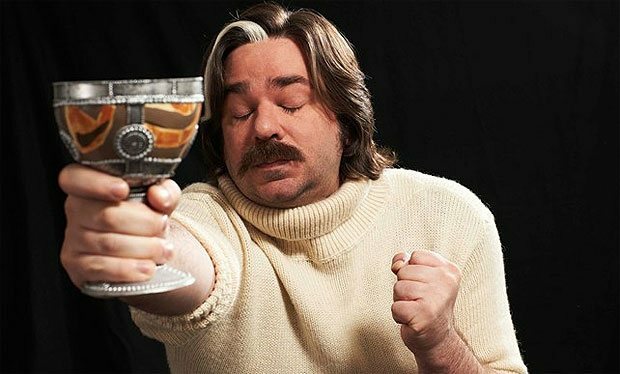 A large cast of famous faces has been confirmed to star in Matt Berry’s upcoming Channel 4 comedy series Toast of London. Alongside Doon Mackichan, Robert Bathurst, and Harry Peacock , the series will see appearances from Michael Ball, Amanda Donohoe, Carol Cleveland, Tim Downie, Emma Fryer, Terence Harvey, Rufus Jones, Indira Joshi, Shazad Latif, Lisa Jackson, Terence Harvey, Alan Ford, Geoff McGivern, Tracy-Ann Oberman, Chetna Pandya, Stanley Townsend, and Morgana Robinson. The new 6 x30 comedy sees Berry play the eccentric Steven Toast – a middle aged actor with a chequered past who spends more time dealing with his problems off stage rather than performing on it. Doon Mackichan stars as Toast’s agent. The original pilot episode was first broadcast in August 2012 as part of Channel 4′s Funny Fortnight a season of comedy which marked the channel’s 30th birthday. Co-written by Arthur Mathews (co-creator of Channel 4′s iconic, Father Ted) and Matt Berry, it garnered rave reviews with Heat Magazine saying it was the “flat out funniest half hour of TV.” It also featured in Radio Times’ Top 40 shows of 2012. C4 Comedy Commissioning Editor, Rachel Springett, said: “We are thrilled to be making the series of Toast of London with the exceptionally talented Arthur Mathews and Matt Berry. After appearing in ‘The IT Crowd’ and ‘Garth Meringue’s Dark Place’, Matt Berry is ready for his own show; and combined with the comic brilliance of Arthur Mathews , it makes for an exciting and tantalising project, the perfect fit for comedy on Channel 4.